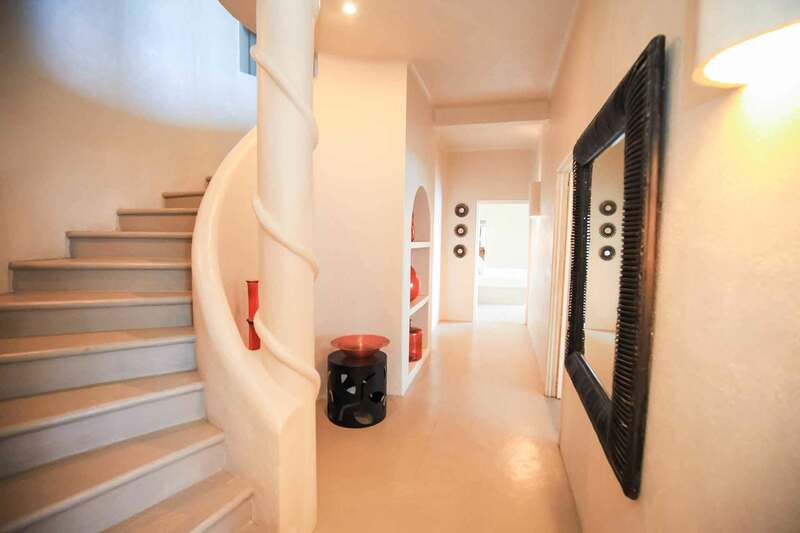 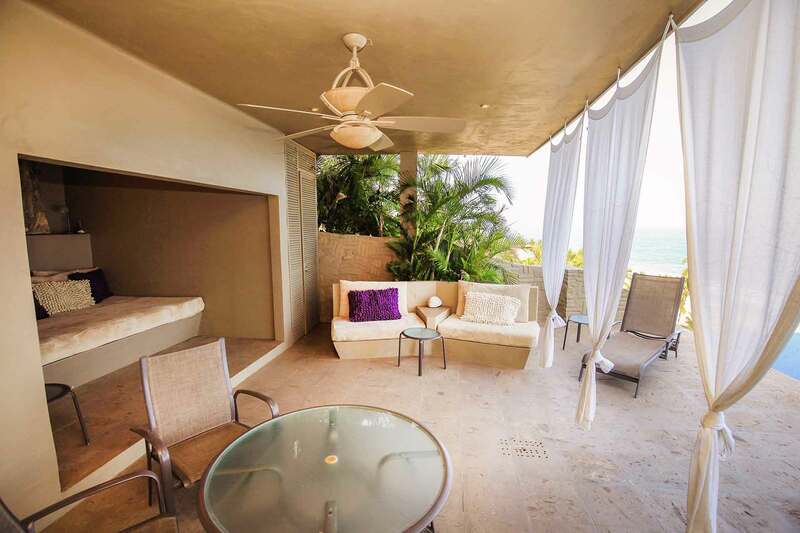 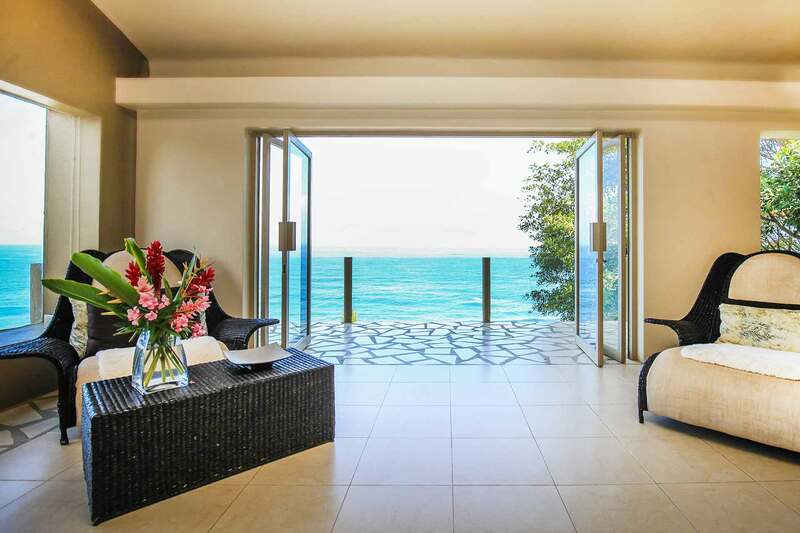 Canto del Mar is made up of three suites, two with king size beds, and one with two full size beds. 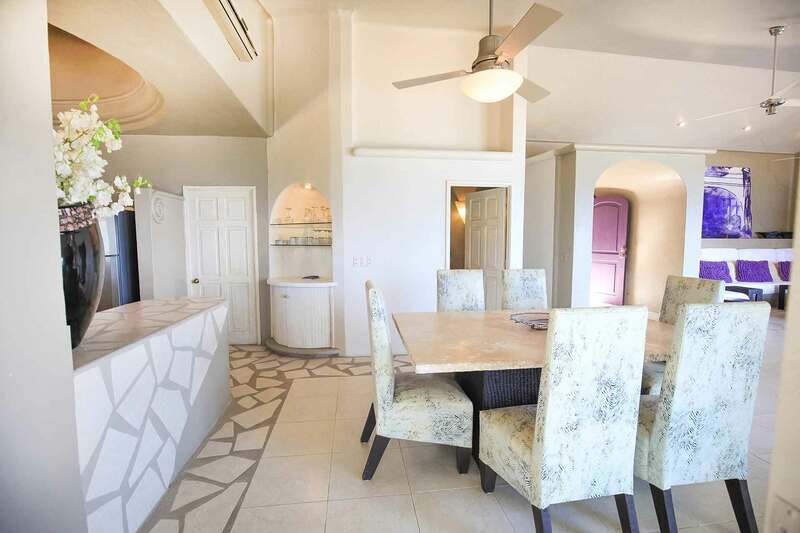 Each has a private bath, air conditioning, ceiling fans, and private sliding glass doors leading to the heated pool/terrace/wet bar. 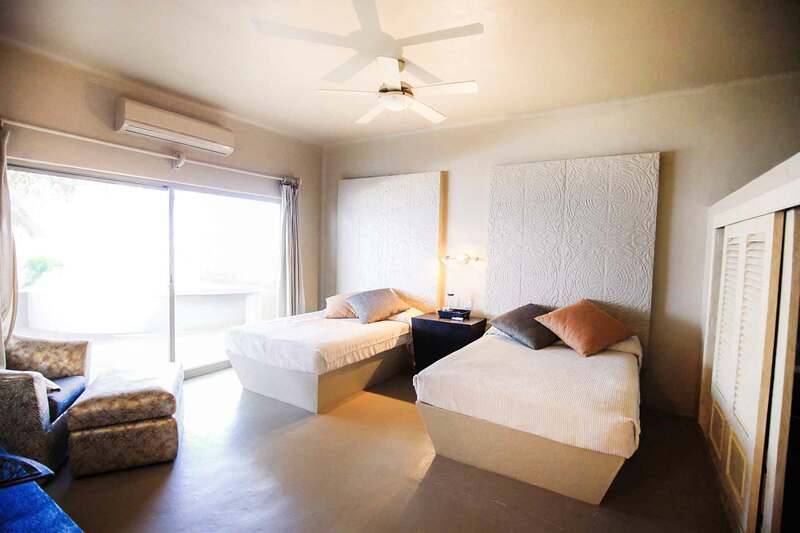 This deluxe villa is only a few steps to the beach, and to the newest and most chic restaurant located in the residential area of Costa Azul, Mar Plata. 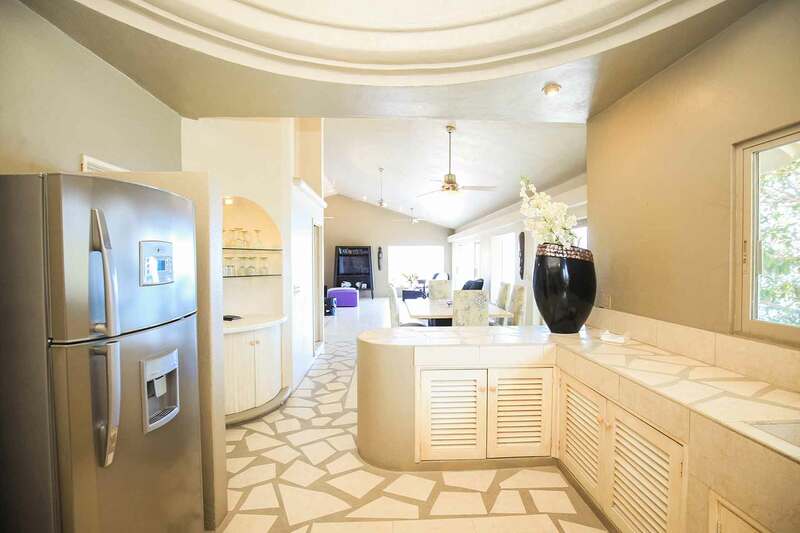 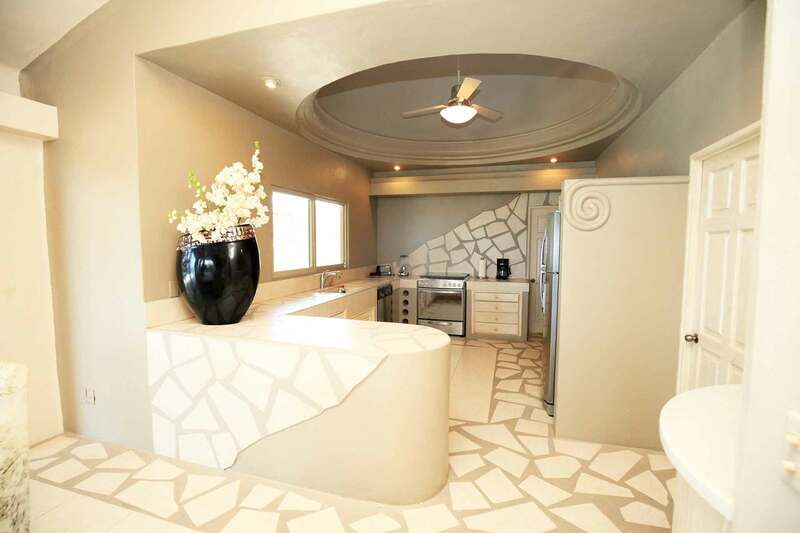 The large kitchen is well equipped and part of the “great room” including a dining room and luxurious living room. 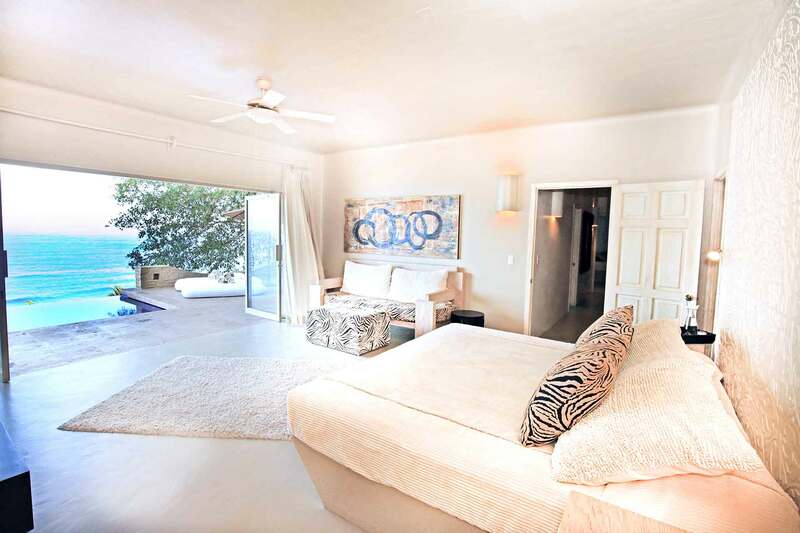 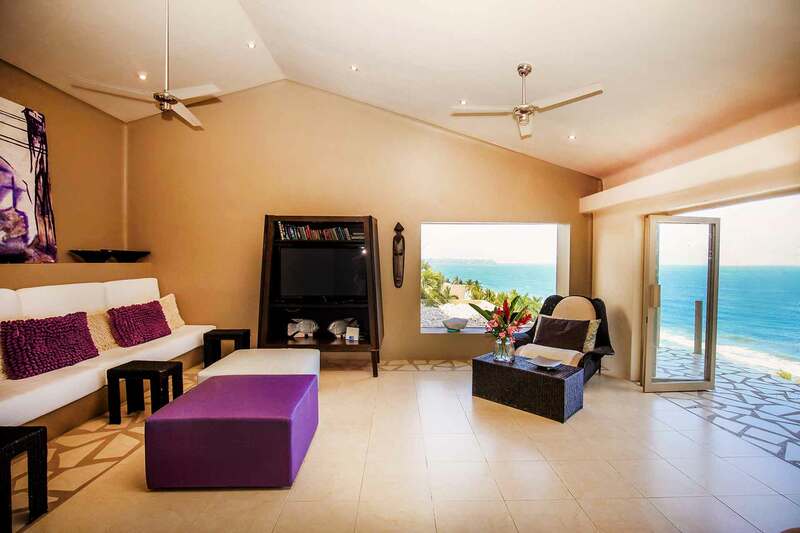 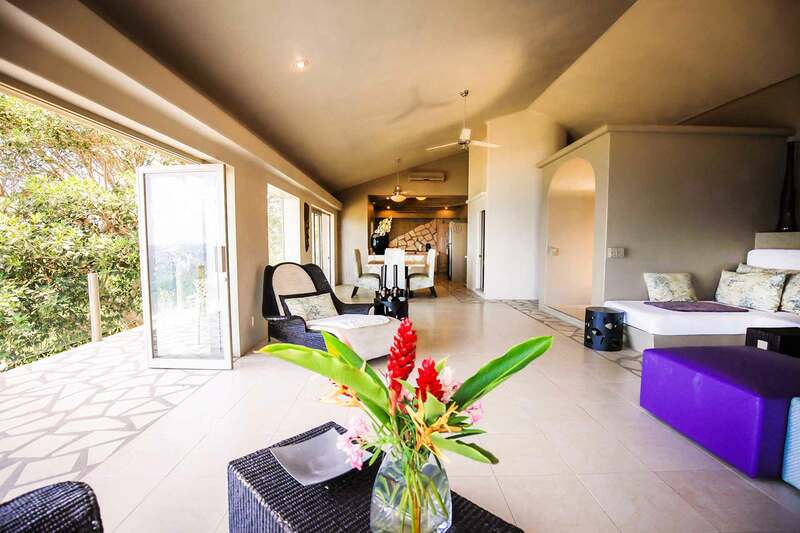 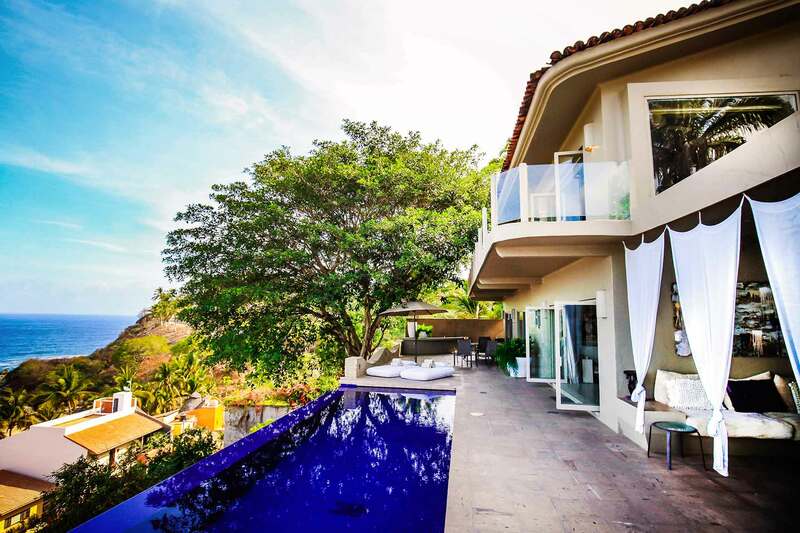 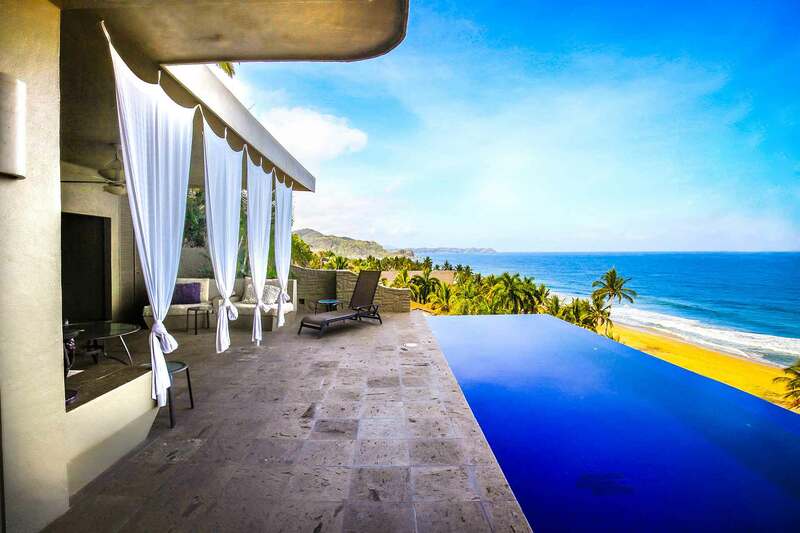 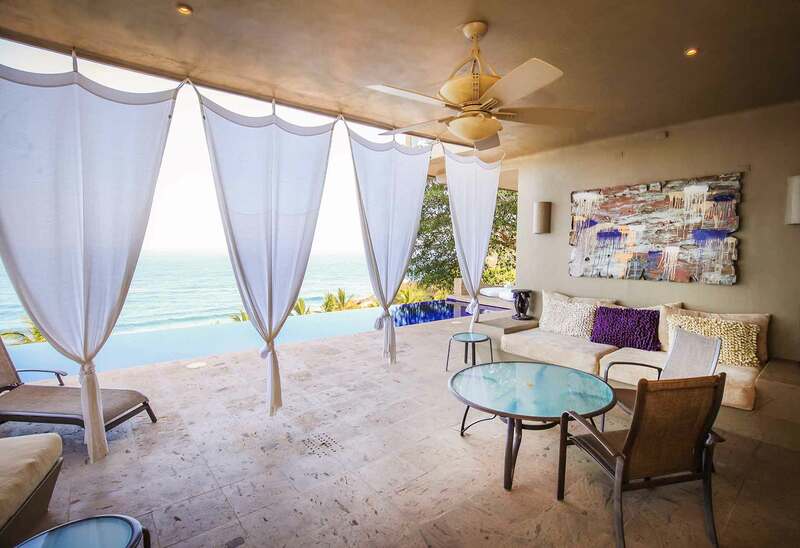 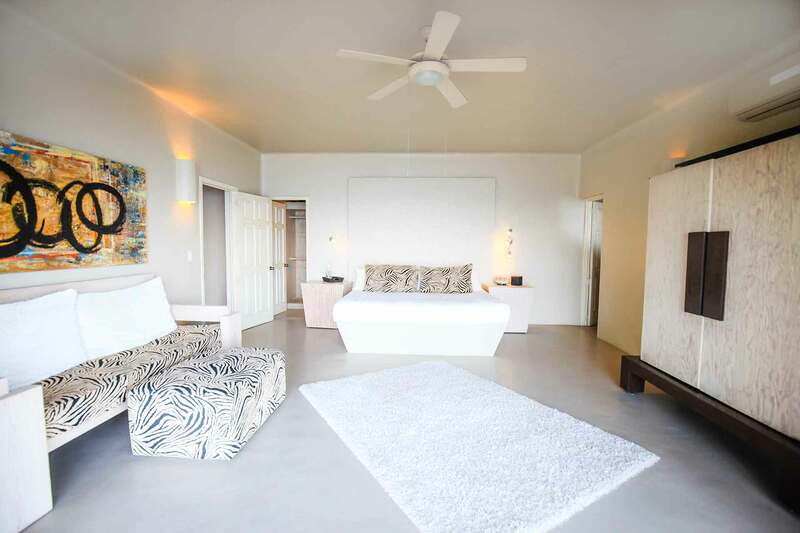 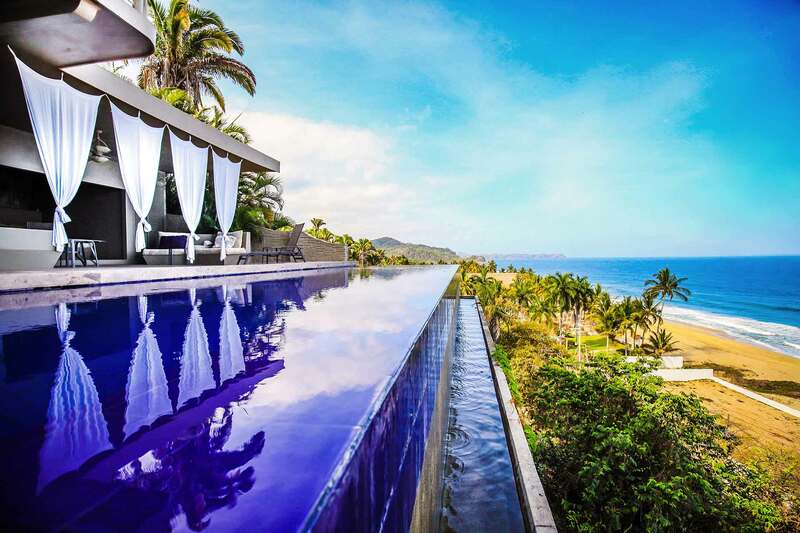 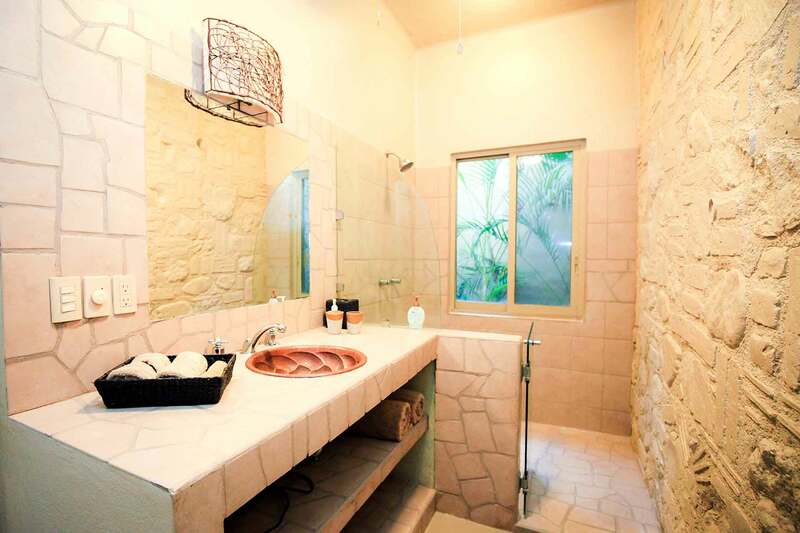 All rooms in the villa offer panoramic views of the ocean and the points of San Francisco and Sayulita. 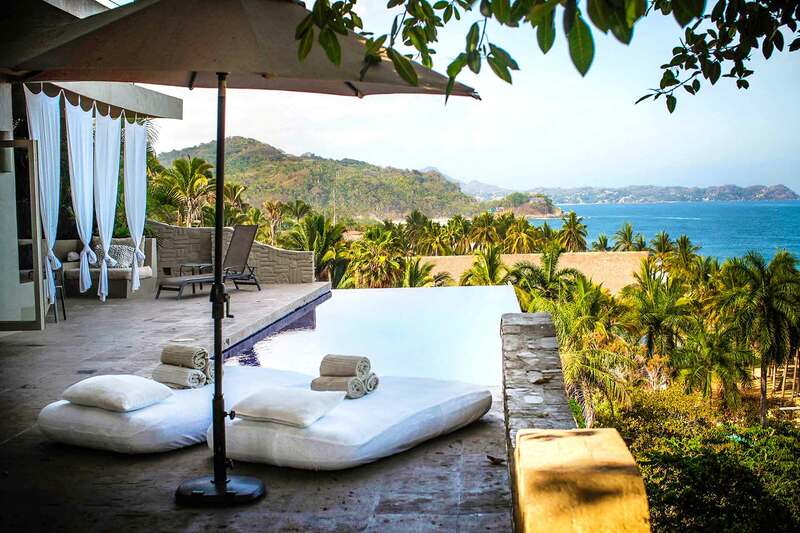  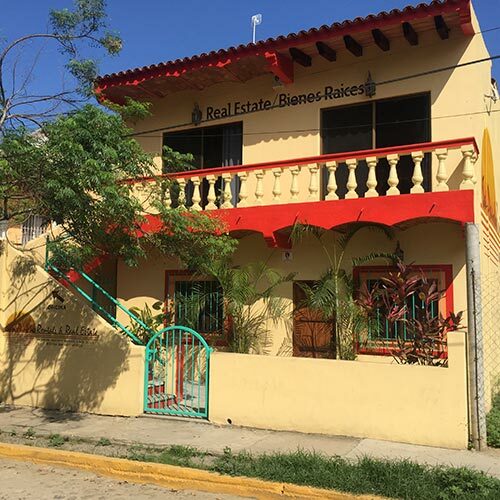 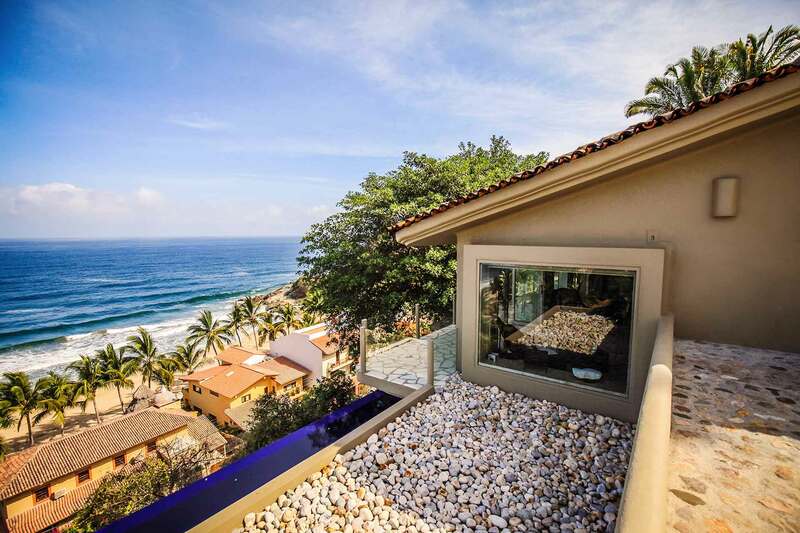 You can sit on either of the two terraces and enjoy the dramatic tropical San Pancho sunsets. 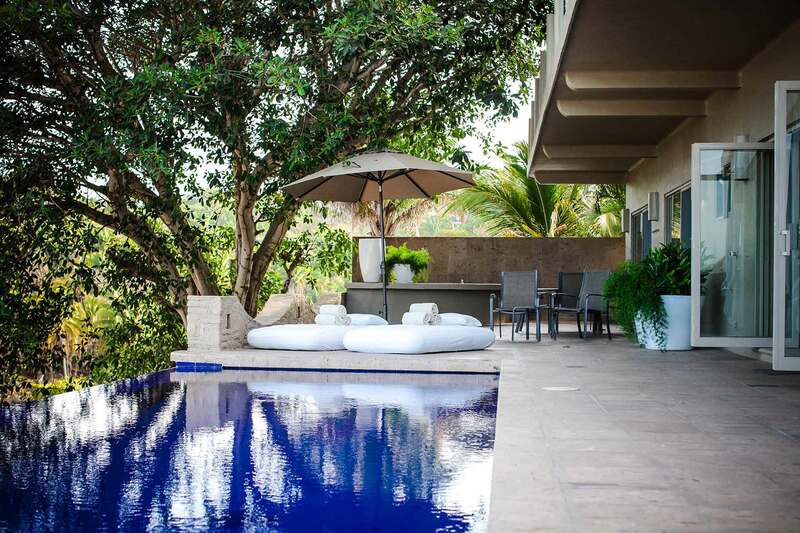 The swimming pool area is the most spectacular, encompassing comfy lounges, a wet bar, and an enormous outdoor bed. 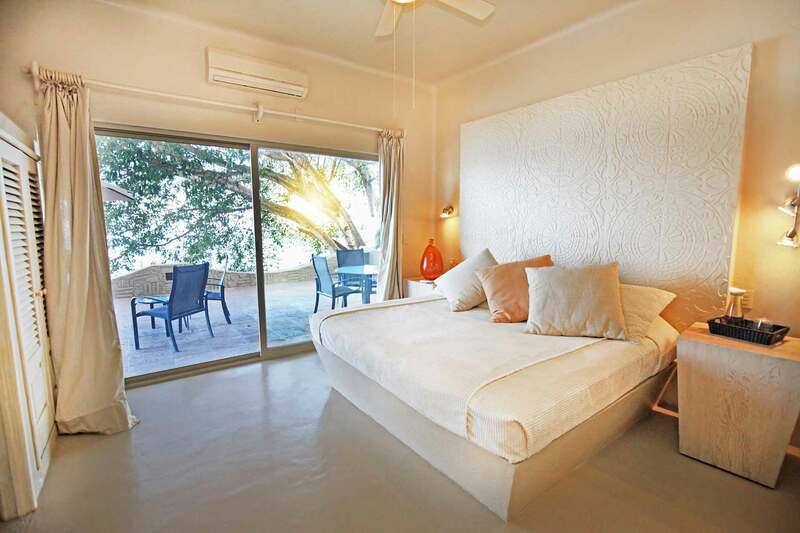 Ask about special prices for couples during low season.